A premium 2-stage trigger/hammer for the Beretta ARX-100 platform, featuring a Murano glass break for an Italian rifle. This RPS Trigger™ is a premium 2-stage trigger/hammer for the Beretta ARX-100 platform, featuring a Murano glass break for an Italian rifle. · 2-stage, giving a predictable glass like break. 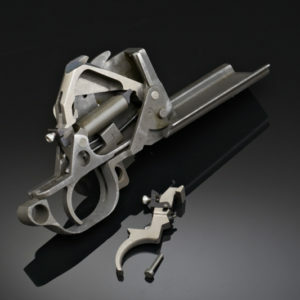 · Includes replacement trigger spring, to control first stage trigger pull, giving a 3lb first + 2lb second stage (5lb total pull). 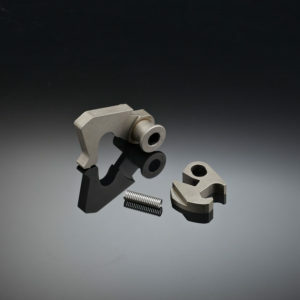 · Machined from heat treated plate tool steel, for superior metallurgy versus cast parts. · Ultra hard / low friction surface coating allows lube free operation in dirty / tactical environments. · Polished and honed sear surfaces for butter-smooth pull. 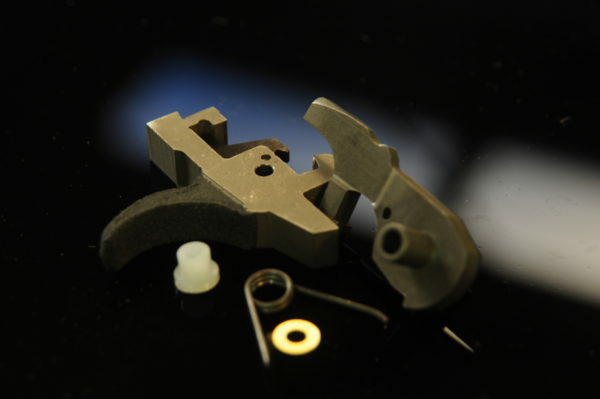 · Patent Pending rubber coating on trigger bow provides slip resistance, and preserves touch sensitivity on trigger finger, by insulating from thermal extremes in hot or cold climates. · Fits both ARX-100 in 5.56 and ARX-200 in 7.62. 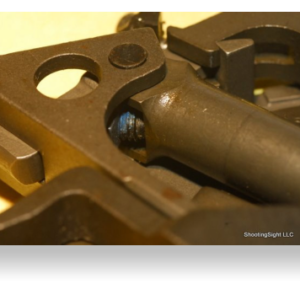 · Drop in parts can be installed in minutes (gunsmith installation recommended). No adjustment needed. Great rifles with two handicaps- no QD sling attach points, and a garbage factory trigger. The Shooting Sight trigger is such a vast improvement from stock that it’s hard to believe it’s the same rifle. Trigger went from 12lbs to around 4lbs with a very crisp break. It’s not cheap, but no great trigger is and you definitely get what you paid for here. Installation can be tricky, but if you can change your own oil, you can manage this. In my opinion, this trigger is a mandatory upgrade for the ARX100. Glad someone finally came out with an improved trigger upgrade. Could have had better instructions, (pictures), but still did it with his u-tube video, even though there are some differences. The trigger pull is just right! Love the gun even more!! Now waiting for more barrels to come out. This trigger will not disappoint you. Such a vast improvement over the stock trigger that it isn’t even comparable. Breaks nice and clean and has a very positive reset. It also retains the factory drop safety function. Money well spent, and Art is always good about answering any questions and concerns you might have. Great kit, great service and great pricing. That’s how you do business properly. Trigger pin may require some polishing, in my case it did. 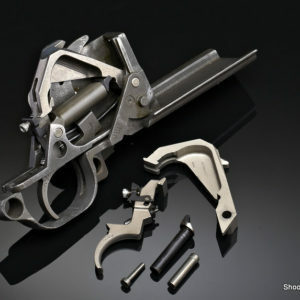 But the trigger and replacement parts are extremely high quality. I would give this 4 stars just because the you tube video has different variations from the prototype model. but the product is so fantastic I have to give it 5. Followed the instructions after having the trigger pin smoothed and now have one of the best triggers in any of my AR style rifles. Worth every penny. I had a little trouble getting the results I had wanted with my ARX. Art worked with me and my trigger and it now feels better than I could have hoped for. Extremely happy with the quality of this product and overwhelmed by the customer service. Trigger is a huge improvement over the factory trigger. My groups are considerable more consistent now. The instructions leave a bit to be desired though. A video with the final version of the trigger would be great. Received the trigger in good time. Only two issues; the packaging was only a thin white bubble envelope (would like to see more padding) and there was no instructions included in the shipment. I emailed and they did respond within a day, giving me the instructions and apologizing for that. So that’s good, but as others have mentioned, pictures would be nice and I did note some gaps in the instructions but I was able to figure it out. Went to the Range and it shot well. My groupings where a little better. Overall I am pleased with the quality and customer service. Really good trigger. Well worth it and makes the rifle that much better. 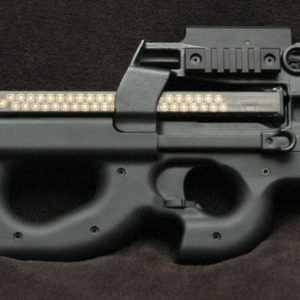 This turned my Beretta ARX-100 from a potentially great rifle into a really great one. The difference in it and the factory Beretta trigger is like night and day. Well worth the cost. Installation is easily managed if you use the directions, watch the prototype video, and have even a modicum of mechanical ability. If you’re thinking about getting rid of your ARX-100 because the trigger is so bad, buy one of these and save yourself the headache. Great product!! Well worth the price. I found it easy to install..and a dramatic improvement over the factory trigger..
My factory ARX-100 trigger was not horrible, but I wanted a lighter than the 8.5 pound factory trigger in this nice rifle. Art’s ARX-100 trigger is very nice quality and it is a perfect fit with a 3 pound lighter pull and super crisp and smooth. I had a question about the trigger and the detailed answer was very prompt and helpful. I recommend this for anybody with an ARX-100 who actually shoots it and I happily recommend Shooting Sight. I love this trigger kit! It’s a vast improvement over the OEM version with a much smoother and lighter pull. The installation video was helpful, although an update would be nice since some of the production parts are slightly different from the prototype. While you can install the trigger components as shown in the video, I eventually found it easier and less time consuming using a padded vise to hold the lower receiver. Overall, a wonderfully engineered product that only serves to eliminate the complaints associated with the OEM trigger, while increasing the “fun factor” when plinking with the ARX-100!